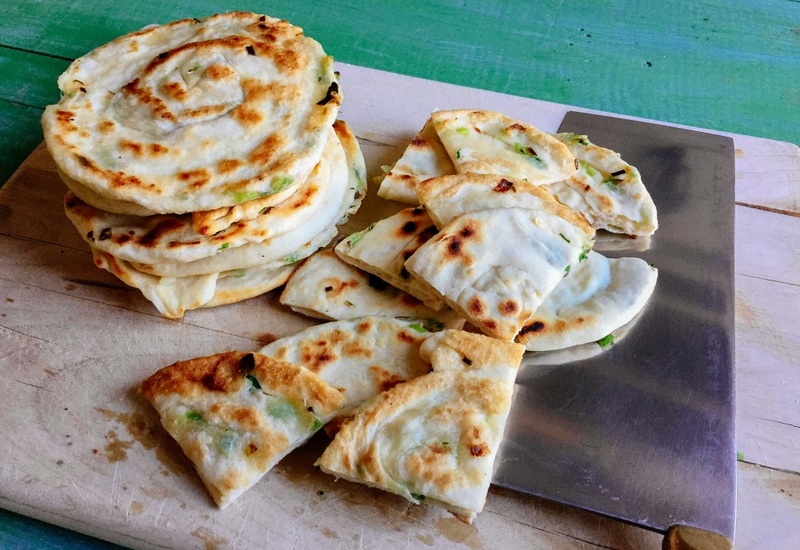 A healthy take on the fried Chinese scallion pancakes, these flatbreads are not only delicious, they are incredibly versatile. Eat them with spreads, cheese, or to wrap grilled meats and seafood. A simple blend of flour, baking powder, and water is cooked in a skillet with sesame oil and salt. Go ahead, try something new today! Get a healthy kickstart to your day and have these savory pancakes in lieu of something sugary in the morning to stabilize your metabolism. It is a uniquely delicious way to start the day on the right foot! Per Serving: 358 calories; 28g fat; 24.7g carbohydrates; 3g protein; 0mg cholesterol; 198mg sodium. I love flatbread, and this version with sesame and scallions was really good. It's incredibly easy to make and is perfect with grilled chicken. I love that you don't have to use any difficult baking ingredients to make this work. Very good flat bread! I thought I was going to have to use active dry yeast to make these, but they turned out delicious with it. So good!